Mat Garretson is the creator of this Zinfandel. He also created other wines from the Francis Berwyn label as well as the label that bore his own name, the Garretson Wine Company. He helped create Hospice du Rhone, the Paso Robles organization and event devoted to the grape varieties of the Rhone Valley. Garretson was riding a wave of small successes and accolades with his winery when the economy took its toll on his business. He now works for a distillery. The Francis Berwyn Wineworks website - just a handful of blog posts from the same day around 5 years ago - explains that the name of this label originated from combining his sons’ names. His other wine company website appears to be cast to the digital winds. A page of advertisements occupies that URL. There’s an interview with him on a blog from 2000, in which he talks a bit about the early days of the Hospice du Rhone, and a nice 2005 Wine Spectator profile about him. The Los Angeles Times mentioned him in a 2010 article about financial struggles in the wine industry. Garretson and I messaged back and forth briefly, and I mentioned I was a bit sad that he was no longer making wine. His reply instructed me not to feel that way: "I enjoyed my time there, but family takes precedence over everything. Am back on the production side of things...but now making & selling whiskey." This wine's nose is unlike any Zin I’ve ever had. It bears an almost perfumed bouquet - and I mean that literally. Big, sweet, ripe fruit is matched whiff for whiff by a eucalyptus note. I don’t think I’ve ever encountered such an overwhelming sense of both fruit and vegetation in the same wine. There’s a bit of bramble, but not so much that I’d call it rustic - it actually does smell rather elegant. The very full mouth is quite spicy with clove, cinnamon and nutmeg. Blackberry and blueberry are both high profile in the palate. The wine has a great tannic grip and a slight bramble note shows up again on the finish. Garretson produced 2000 cases of this wine, which carries a 14% alcohol level. It was a hot afternoon in Los Angeles, one of the first good warm spells of the spring. When my errands took me to Third and Fairfax, I ducked in to the Farmers Market to visit an old hang I hadn't seen in a while. The Farmers Market Bar - it may have an actual name, but nobody knows it if it does - was populated with folks who were thinking the same thing I was thinking. "Let's beat the heat with a cold beer." The crowd is always an eyeful at the big center bar in the open air market. I watched the show on the barstools while I cooled myself with a frosty IPA. There was the Korean couple having a friendly, yet intense, conversation. I looked between them to see the television, where the Hawks were laying it on the Celtics, in the second quarter at least. Four "dudes" met up and hugged and high-fived each other, but oddly, they moved on from there. I would have bet money they were going for a couple of pitchers. Tank-top guy was festooned with colorful tattoos. He stayed. There's always at least one walking body art gallery at that bar. An older fellow in shorts and sandals was smiling while reading the LA Times - the business section. The market must have been up, or else his former employer was down. His casual dress told me he wasn't returning to work anytime soon. There was a Pepperdine University T-shirt and a golf-logo cap at the bar as well. I emailed my friend, Fredi, with a picture of the bar we had occasioned when he and I both lived very near the Farmers Market, in Park La Brea. I live in another section of town now, and he lives in another section of the state. I miss him quite often, but always when I'm at the Farmers Market Bar. One year, St. Patrick's Day fell on a Saturday and I met Fredi there around noon. I was afraid I'd be too early, but when I arrived it was obvious he had been there a while. He had made friends with most of the people at the bar while waiting for me. He's like that. It was a glorious afternoon. This afternoon, I chilled with a Stone IPA. For me, a warm afternoon calls for an IPA, one with some great citrus aromas and flavor. To top it off, the pint glass was frosty. Orson Welles wrote, directed and co-starred in “Touch of Evil” in 1958, at the end of what might be considered film noir’s golden era. It was right at the end of Welles’ golden era, too. He had been packing on the pounds by this point in his career, and was also drinking too much. In fact, the most exercise he got in the whole decade was a three-minute-twenty-second tracking shot. Welles’ massive girth in “Touch of Evil” is actually more the result of padding and makeup than actual weight gain, but it wouldn’t be long before he’d be doing his own stunts. As spokesman for Paul Masson wines a decade or so later, he didn’t need the help of the makeup department to look like a guy who could put an all-you-can-eat buffet out of business. Break out the Paul Masson for a “Cheers” to the lineup! Welles and Charlton Heston (playing a Mexican) are joined by names like Janet Leigh, Ray Collins, Dennis Weaver, Zsa Zsa Gabor, Marlene Dietrich and Joseph Cotten. A cast like that makes a toast mandatory, even if it is jug wine. I understand the film was shot at night to minimize the number of studio executives hanging around the set. Welles was no fan of suits, and he felt that if his shooting schedule conflicted with prime schmoozing time, they’d stay out of his hair. If it hadn’t been for that, the movie may not have been a film noir at all, but a film du jour. The film’s noirishness is defined by by the dingy, dusty setting of the fictional Border City. It’s worth noting that actual border towns like Tijuana apparently were not run-down and seedy enough, so the movie was shot in Venice - which isn’t exactly a highlight for the Chamber of Commerce brochure. Janet Leigh broke her arm before filming started, which caused some difficulty in shooting her scenes. The cast on her arm had to be removed for some of the shots and replaced afterward. It might have had some people thinking that she was told to “break a leg,” and missed. Leigh’s agent reportedly enraged the actress by giving the role a pass on her behalf. She felt being directed by a legend was worth more than money. Maybe she broke her arm while instructing her agent to get back on the phone. Washington’s Gorman Winery has a 70/30 blend of Red Mountain Syrah and Cabernet Sauvignon called Evil Twin. The 65-dollar question is, which grape is evil? Evil Wine - This respected line from R Wines is made by South Australia winemaker Chris Ringland. Pinot Evil - The little-known fourth monkey in the “hear no, see no, speak no” series. Paul Masson commercial - This is the “Citizen Kane” of Orson Welles outtakes. He just seems drunk, though, not evil. Whole Foods Market invited me to take part in a Twitter Tasting event featuring some of the Spanish wines they have in stock for the spring. The event - on April 19, 2012 - took place over social media giant Twitter. I and the other participants broke out the bottles supplied by our local Whole Foods, spread bottles and glasses and smartphones and computers across the kitchen table and went to work. If you’d like to see how the conversation went, it’s here. This Albariño is produced in Costers del Segre region near Lleida in Catalonia. Costers del Segre is unusual for a wine region, in that it is made up of several different sub-zones which are scattered about the area in the northeastern corner of Spain, unconnected to one another. The Whole Foods sommeliers informed us that Raimat is the biggest family-owned, single vineyard estate in Europe. The lightly tinted white has a beautiful bouquet of pineapples, pears and flowers. It’s a fairly intense nose, with aromas showing themselves plainly. A slight fizziness shows in the glass. Succulent lemon and lime flavors dominate the palate, and a zippy acidity feels playful in the mouth. A lime zest flavor lingers after the sip. 12.5% abv. The Rioja region is in northern Spain, where the strong winds can present a problem for grape growers. The Cantabrian Mountains help protect Rioja from the nasty wind and also help keep the temperatures moderate. The Ebro and Oja Rivers figure into the region’s geography. This Rioja red is amazing. It’s a fairly dark ruby color and the nose knocks me out. Blackberry and cassis come forward in strong fashion, with a trace of oak notes in the background. The palate is just luscious, and it shows cassis even stronger than on the nose and features a slight hint of chocolate. A great acidity livens up the silky mouthfeel. This is a very good Tempranillo. 13% abv. This wine is labeled as Tierra de Castilla y León. Adding “Tierra de” to the region’s name allows the bodega the freedom to source grapes from outside the appellation if they so desire. These Tempranillo grapes come from old vine, low-yielding vineyards in the Duero River Valley of northern Spain. Medium-dark ruby in the glass, the nose is a delightful mix of cherry candy and anise. Black cherry and blackberry are most noticeable on the palate, with a spicy streak running through it. The finish has black licorice and cinnamon notes lasting quite some time. 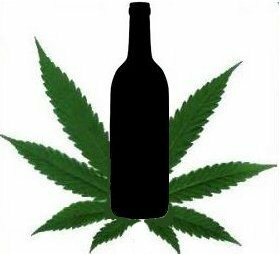 It has been an open secret for quite a while that some California winemakers like to make wine infused with marijuana - not for sale, of course, but for personal amusement among their close friends. Michael Steinberger, writing in The Daily Beast, blazed up the wine blogosphere recently when he wrote about one winemaker - nameless save for Steinberger’s nom de fumar, “Bud” - who regularly makes pot-juiced wine. And you were worried about Pinot Noir producers slipping in a little Syrah on the sly. The next time you’re stopping at tasting rooms in California wine country, keep an eye out for the telltale package of Oreos or Nutter Butters on the bar. That may be a tip that there’s some homegrown brew to inquire about. When you get a chance to sample wine with the winemaker, jump on it. Markus and Liz Bokisch were pouring their offerings recently at a couple of places in Los Angeles, and I caught up with them at 3Twenty South Wine Lounge on La Brea - 320 South La Brea, in fact. Bokisch Vineyards specializes in Spanish grape varieties grown in their vineyards in Lodi, California. Markus explains that while he was born and raised in California, he visited family in Spain quite often as a child, and formed a love of Spanish wines there. "As kids, we were given wine with water added at meals. As we got older, there was less and less water included. By the time we were grown, it was all wine." "After Liz and I were married, we moved to Spain and worked in the wine industry there for a while. We came back to California and searched for vineyard land, stopping in Lodi because it reminded us of Spain. Also, the Spanish varieties grow well there." Liz and Markus are an easy-going and friendly pair, and they were both happy to talk to those of us who came for the tasting. Liz told an interesting story about the evolution of their Garnacha Blanca. "The first vintage was way over the top," she said, "with over 15% alcohol content and a full body like a Viognier. It wasn't a bad wine, if that's what you want, but it wasn't varietally correct. We were taking the grapes based on how they tasted off the vine. It took several vintages for us to learn to trust the brix and take the fruit at the right time, so we'd have it like we wanted it." Markus spoke of his attempts at blending his Garnacha and Graciano wines. "That didn't work out," he explained, "because both of those grapes like to fight for territory. They just don't match up when you try and blend them together, so we kept them apart, which is how they like it." Bokisch Vineyard is a very small production winery, making less than 2000 cases per year in total. The groundwork for expansion is being laid, though. Recent new hire Kenny Stetson is now the cellarmaster, freeing Liz and Markus to focus on the winemaking responsibilities. The couple is looking forward to pouring their wines at the annual tasting event of the Tempranillo Advocates, Producers and Amigos Society, in San Francisco on June 9, 2012. TAPAS is a non-profit organization devoted to Iberian varieties. If you plan on attending, I heartily recommend you make sure to stop at the Bokisch table. 2011 Garnacha Blanca, Vista Luna Vineyard - The wine was served a bit too cold, and as a result the nose tight. Again, there's a great acidity and a zesty, tropical fruit finish. 2009 Tempranillo, Liberty Oaks Vineyard - Super ripe cherries on the nose with a big palate of cherry, blackberry and plum with an amazing tannic structure and yet again - fabulous acidity. 3Twenty owner and sommelier Edgar Poureshagh told me he had decanted the Tempranillo for a couple of hours because "the tannins were rippin'." 2009 Garnacha, Terra Alta Vineyard - Blackberry, cherry, smoke and earth. 2007 Graciano Terra Alta Vineyard - A low yielding, late ripening grape, this Lodi Graciano has a nose that's dense and rich, and very earthy. Big tannins can't hide the dark, earthy chocolate and black cherry notes on the palate. 2009 Graciano, Las Crezas Vineyard - This one shows a huge chocolate nose, with big tannins and a lovely black cherry finish. Picnics are fun, even if you go solo - and even if it's just out on the deck. Faced with a little yard work and armed with a salad and a bottle of Beaujolais Nouveau by Georges Duboeuf, I made a picnic that turned out very nice. One important consideration is this: get the yard work done first, then relax. It's a lot easier to do hard labor before the wine, rather than after it. And, the task/reward scenario has always loomed large in my life. Duboeuf's BN had been sitting in the wine cellar/office/junk room since its natural season, around the end of last year. A perfect springtime L.A. sunny day - barely warm with a cool breeze - provided an opportune backdrop for the work and the picnic. The wine has only 12.5% abv, so it's a great lunchtime accompaniment, when you probably want to go a little easier on the alcohol. Its fruity, youthful nose is abundant with fresh cherries and strawberries. The palate is also young and fruity with a nice acidity, so it goes great with food. This "Red Beaujolais Wine" paired well with my favorite grab'n'go lunch - a mélange of tasty treats from the Whole Foods salad bar. As usual, I packed some grain, hummus, black olives, Parmesan cheese, eggless tofu salad and corn into the small box, along with a couple of corn fritters. I was feeling rather giddy on the first day of my unemployment in which I had been able to just relax - job hunting is harder than having a job - so I threw in the fritters as a treat. That's a big piece of banana cake in the photo, by the way, and the BeauJo went quite well with that, too. The wines of Spain loom large in my love of the grape. It was a tasting event featuring Spanish wines which first made me want to pursue wine as something more than just a beverage. To paraphrase the Hoyt Axton song made famous by Three Dog Night, “I’ve never been to Spain, but I kinda like the vino.” I kinda like it a lot. Whole Foods Market has their springtime spotlight on Spain’s wine heritage, and they are featuring a dozen Spanish wines that are each priced at less than $20. When the grocery chain invited me to participate in a pair of Twitter tastings featuring some of these Spanish wines, I didn’t even think about saying no. Due to scheduling difficulties, I was unable to participate in the first round of tasting and tweeting. The second round - April 19th, 2012 at 7:00 p.m. CDT - will see me tasting and tweeting. Since my local Whole Foods was kind enough to supply me with all six of the wines in the tastings, allow me to taste and type about the first three now. In addition to Spain, Francois Lurton also makes wine in his French homeland, as well as in Portugal, Argentina and Chile. This wine comes under a screwcap and carries an alcohol number of 12.5% abv. This Verdejo comes from from low-yielding vines. When a grapevine yields a small amount of fruit, that fruit tends to be much more concentrated in aroma and flavor. The Lurton holds true to that rule, showing a medium golden tint and an extremely aromatic nose. Tropical fruit aromas, cantaloupe and the peel of lemons and oranges fill my nostrils immediately. It’s the kind of bouquet I want from a slightly chilled white wine on a warm afternoon outside. Not to plagiarize Evan Dawson, but it has the olfactory sense of summer in it. The wine is fairly full in the mouth, too, with a razor-sharp acidity. The citrus zest comes across the palate first with pineapple next - not the sweet heart, but the part very close to the rind. Melon lingers on the very long finish. This is what I want a white wine to be - anytime. The grapes for this wine - called Grenache elsewhere - are grown in Spain’s northeastern Aragon region. The cool-climate vineyards are located up in the Sierra de la Virgen mountains. The DO status for Cariñena was created in 1932, and the area is where the French Carignane grape originated. It’s known as Mazuelo in Cariñena and is still widely planted, although Garnacha Tinta is king. The back label, after a brief and none-too-descriptive summary of the vinification, ends up with one of those great blanket recommendations: “To be drunk with all meat dishes or slightly chilled with any starter.” That doesn’t narrow it down much, but it does leave my options wide open. Again, a moderate alcohol level of 12.5% abv. The medium dark hue tips off a nose of very intense black cherry and blackberry with a bit of earth peeking through. The taste is a mix of cherry and raspberry, with a tartness and earthy quality about it. A great level of acidity makes the mouth water. Nice tannins would support that rather all-encompassing pairing suggestion..
Yecla is a DO in the Murcia region of southeastern Spain. The area is known for its Monastrell - elsewhere called mourvédre. Under the Castaño screwcap is a wine made from organic grapes and bearing a robust 14% alcohol number. It’s a very dark wine, not inky but getting close to it. The nose displays dark blackberry and plums with a layer of clove. On the palate there is dark fruit and spice as well. Some oak steps forward but doesn’t try to steal the show. That act is handled by the brilliant acidity and forceful tannins. The Castaño Monastrell would pair quite well with a smoky grilled steak. If these three Spanish beauties are an indication, the second round of the Whole Foods Twitter Tasting should be a gem. Join in, if you can. Follow my tweets, or those of @WFMWineGuys. The hashtag #WFMWine should make it easy to channel all that Spanish wine chatter into a single column. 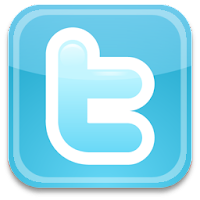 You can also go to http://www.twitter.com/#!/search/wfmwine to see all the tweets. Wine lovers and film fans will converge for a Hollywood Pinot Noir tasting event to celebrate film noir. Trailers From Hell, Now And Zin and K&L Wines are pouring the Pinot Noir in association with the American Cinematheque's 14th Annual Noir City Film Festival. Check that link for a full schedule of the films to be featured. The event - Don't Be Afraid of the Noir - will be held Thursday April 26, 2012 from 5:30 to 7:30 p.m. at K&L's Hollywood location, 1400 N. Vine Street. Tickets cost $15 per person and will be available at the door. Your hardworking Now And Zin correspondent has been invited to share in the hosting duties, which I have been led to believe involve standing around tasting wine and talking about it some. That sounds like it’s right up my alley. Some filmmakers have signed on for that gig as well, notably Dan Ireland, Chris Wilkinson, Adam Rifkin, Brian Trenchard-Smith and TFH chief guru Joe Dante. Presumably, they were led to believe the job involves standing around tasting wine and talking about movies. "Black Ridge is made by ADS Wines, a red stained property in Lodi, owned and operated by the Scotto family. They have been in the wine business since the 1940's, the heyday of film noir. Come to think of it, it was the heyday of Lodi, too. I'm going on the assumption that three generations of Scottos can't be wrong. That's why they're still there. The Pinot is soft and pretty, two things a man like me likes, especially when they arrive together. It's also supple and juicy. Things are looking up." "In a rare moment of clarity, the Los Angeles Times made this one a Wine of the Week. They say it's all about the grapes, and the grapes for this Pinot come from cool Central Coast sites in the Santa Maria Valley, Santa Barbara County, Santa Lucia Highlands, and Edna Valley. That's a lot of ground to cover, but you get used to it selling door-to-door. Aged in French oak barrels older than my suit, JackHammer brings the berries and spices forward with smooth tannins. That's the way I like my tannins. Smooth. The Times calls it "delightful," which is odd because I'm used to hearing them break out the twenty-five cent words. I'd pair it with a Mike Hammer movie, if you like that sort of thing." "The grapes for this Pinot Noir come from Napa Cellars' southerly Napa Valley vineyard north of San Pablo Bay. I used to live there, a little room over a garage. I couldn't see the grapes from there, but I sure could see the ocean fog. They say that makes for a long growing season. You ask me, driving a forklift around a winery for chump change, that makes for a long growing season. Once, the fog cleared out just enough so I thought I saw Robert Mitchum stomping some grapes to a pulp. The wine is fruity and accessible, not a bit like Mitchum. But then nobody is." "This Pinot reminds me of a dame I used to know, drenched in pretty cherry and wild strawberry aromas, accented by hints of clove. She worked at a farmers market. The palate is juicy, with a core of red fruit that carries you through to a spice-kissed finish. Is it getting warm in here, or do I just need a cold beer?" "Ken Brown made this wine, so now you know why he's in that line of work. He loves to talk about the cool Burgundian climate of beautiful San Luis Obispo, cool like an ocean breeze. I think it's more like he's talking about himself, but then, I'm suspicious by nature. Oh, yeah, the wine. Full of ripe cherries, raspberries, you know the drill. One thing I like about it - it's drinkable now with or without food. Most of the characters I know get along the same way. I'll take mine with a steak that thick. But that's how I take my bourbon, too, when I can get it." Sounds like a great time coming, so get that $15 ready. Don't Be Afraid of the Noir, Thursday April 26 from 5:30 to 7:30 p.m. at K&L Wine, 1400 N. Vine Street in Hollywood. Is it just me, or do all the characters Eric Roberts plays need a smack upside the head from a wine bottle? Not the 750 mL size, either, but a magnum (1.5 L) or a Methuselah (6 L) or even a Nebuchadnezzar (15 L) just to make an impression. With a roster of 243 roles to his credit, I’m not going into all of them. Suffice it to say that it just seems to me Roberts always plays the guy with whom you’d hate to be stuck pulling off a crime. Can’t keep his mouth shut, no finesse, no idea how to be unobtrusive. Hey, that sounds a lot like the group at the last wine tasting I attended! Regardless of what I think of his characters, Roberts sure does work a lot. According to IMDB, he is presently listed as having two films underway, one that he is announced for, eight in pre-production and 22 which are in post-production. 33 films in less than a couple of years seems like a lot to me, but I’ve never even been on a casting call - what do I know? It seemed like a lot to the actor who waited on me at the restaurant last night, too. At any rate, “Runaway Train” does nothing to sway my feelings for the characters Eric Roberts plays. Hey, Buck! Whoop! Upside the head. Jon Voight, on the other hand, has so much ice on him in this flick he looks like the missing link. He has more ice on him than the freezer in my first apartment. I wouldn’t mind being his sidekick on a caper, but I’d sure as hell keep my mouth shut and stay out of his way. Maybe I’d offer him some wine from a less dangerous train. Red Car Wine is made in Graton, California just west of Santa Rosa. The brand was born in Hollywood, though. Founded by producer Carroll Kemp and late screenwriter Mark Estrin, Red Car is named after the streetcar line that served Los Angeles until the 1960s. The Trolley and Boxcar lines are made from Sonoma Coast fruit taken from a variety of vineyards, including their estate land. Train - the rock band - has a wine club in which they offer a wine of the month. They also have their own brands: the Drops of Jupiter Petite Sirah and the Calling All Angels Chardonnay. One would have to guess that they rock. A portion of the proceeds go to charity. Loco Vino - Missouri’s West Winery has a line of locomotive wines. Wine Trains - Just about anyplace with at least three wineries in straight line has a wine train connecting them. Some skip the wineries altogether and just have wine on the train. See Napa Valley, Santa Barbara, Fillmore, Texas, Colorado, Alabama, South Dakota, New York and, as they say on the late night TV ads, many, many more. It’s a lot more comfortable than the Runaway Train, and there’s wine on board. A win/wine situation. Coaltrain Wine & Spirits - A Colorado Springs store where the big news seems to be that Pliny the Elder is out of stock. Night Train - Bum Wine offers a nice writeup on Gallo’s low-end juice. Ride the rails right to the bottom of the barrel. When I taste a wine I like in a restaurant or bar, I always look forward to learning more about the winery. It’s such a great feeling to discover a new boutique winery or a winemaker I had not known before. On the opposite end of that emotional spectrum is the feeling I get when I open a winery’s site and find a cartoon of two bears in a rowboat. Wine experts constantly remind us to steer clear of wines featuring animals and/or cartoons on their labels. Those “critter label” marketing tricks are used to make ordinary wines sell better by catching people’s eyes as they scan the wine shelf at the supermarket. The thinking is: people will pass up any number of informational-looking images without noticing them, but everyone stops and looks at the kitten playing with a ball of yarn. I don’t like “cute” in my wine, and when I ordered Bearboat Pinot Noir at Wood Ranch in Los Angeles, I felt that I was setting myself up for disappointment. Seeing those cartoon bears on every web page, spouting off "humorous" dialogue between them, confirmed that feeling. The above image is one of several from the Bearboat website. This wine is is made under the corporate umbrella of Rémy Cointreau. It’s a blend of 95% Pinot Noir grapes from Sonoma County’s Russian River Valley and 5% “old-vine Gamay Beaujolais.” Huh? Well, that’s a new one on me. It seems that the fact they are blending French Gamay with Sonoma Pinot is the story here, but in the online materials for this wine, the company just glosses right over that fact, as if we didn’t notice. It’s particularly odd in that the tasting notes provided online go into such detail about the "cool-climate, destemmed, hillside fruit" and the four different kinds of "tightly grained oak" used in the aging process. But there's not so much as a "Waiter, there's a Gamay in my Pinot" joke from those bears in the rowboat. The wine is dark and moody, which I like a lot. There’s a hint of forest floor here - actually vineyard floor - along with the nice blackberry fruit. It’s tasty enough to have collected a small hipster hat full of points, stars and medals from various publications and competitions. I must imagine that Alsatian winemaker Raphaël Brisbois probably never saw his career arc winding up in a rowboat with a couple of bears. We arrived early - imagine that! - for a play in West Hollywood, and decided that we had just enough time to stop into Hugo’s for drinks and appetizers beforehand. The venerable eatery on Santa Monica Boulevard has a short wine list with a lot of variety packed into it. Wines from Bordeaux, Limoux, La Mancha, Valencia, Veneto and Mendoza offer a world tour, while California is represented by Lodi, Sonoma and Monterey Counties as well as my wine country neighbor, Santa Barbara County. They also place a bottle of wine on each table. It makes me feel welcome, but it also serves as a good marketing tool. It makes me immediately think about ordering a glass of wine - not that I need a reminder. I saw a Chardonnay from a winery called Cordon. The wine was listed as coming from Kick-On Vineyard, which intrigued me. I have never been to Kick-On Vineyard - never even heard of it - but I gather it is in a good location in Santa Barbara County, west of Los Alamos and south of Santa Maria. They appear to grow Riesling and Pinot Noir in addition to the Chardonnay. At least one SBC winemaker thinks the vineyard is under-promoted, especially for the quality of their Chardonnay grapes. The Cordon label is the personal effort of winemaker Etienne Terlinden, who also serves in that capacity for Summerland Winery, east of Santa Barbara. He uses grapes from several SBC vineyards - French Camp, White Oak and Faith - in addition to Kick-On Vineyard. The Cordon Kick-On Vineyard Chardonnay sells for $8.50 per glass at Hugo’s and retails from the winery for $19.50. 130 cases were produced. A lot of Southern California restaurants with great wine lists are picking up on Cordon, according to the list of locations where they can be found. The nose was a bit tight due to the cold serving temperature, but it unveiled nicely as it warmed in the glass. Apples and cantaloupes appear, swathed in a light spiciness from the neutral oak. The palate offers apricot flavors, along with a splash of lemon and figs. The wine paired quite well with the food, good renditions of Asian spring roll and corn tamales. The spring rolls are unusually large and a bit difficult to eat because of their girth and the way they fall apart when cut. The flavors are fresh and vibrant, however. The two-tamale plate is adorned with guacamole and sour cream and is swimming in salsa verde. It’s a lot of food for an appetizer. It seems that any L.A. dining experience now offers The Drama At The Next Table as a free floorshow. Ours was the young woman going on endlessly to her girlfriend about how “I was like all and he was like all and I deh eh know what to say and oh I didn't know you were like a rockstar bartender.” I supplied the period in that quote through poetic license. She didn’t appear to use any punctuation in her speech. Her friend seemed to hang on every word though. 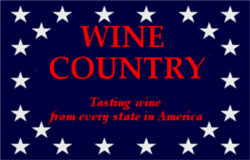 The Wine Country series stays in Iowa for another winery from the Hawkeye State. You can catch up on Iowa wine here and here, while we taste a third set of wines from Iowa. Tassel Ridge Winery is located in Leighton, Iowa, along the Heart of Iowa Wine Trail. My thanks go to Bob Wersen for including some pretty extensive notes on the grapes in his vineyard, some of which I’ll share here. Bob was kind enough to send six samples of his wines. We’ll start with the whites. Edelweiss is the largest planting of all the grapes in Wersen’s vineyard. The Tassel Ridge Iowa Edelweiss has a nice, warm, golden tint. The nose is sweet with candied apricots and pineapple juice aromas allowing only a peek at an herbal scent in the background. The wine tastes only slightly less sweet than it smells. Delicious apple flavors in the foreground lead to apricots and oranges on the finish. There's a nice bit of acidity present despite the full mouthfeel. Fans of semi-sweet wine should enjoy this effort. It sells for $14 and carries 12.7% abv. As noted by Wersen above, the White Blossom contrasts with the Edelweiss in that it is not sweetened. It’s also a 100% Edelweiss wine. Light in color, White Blossom has only a very faint straw tint. It smells of pineapple and orange peel, but the fruit seems to lurk behind a wall of wet underbrush. There’s great acidity in this wine, and the palate shows more orange zest with some green apple notes. It actually seems rather Sicilian, with a salinity on the palate. The nose however, shows more earth than ocean. It’s very refreshing, and should do well chilled for a warm afternoon. It should also serve nicely with all sorts of salads and some lighter meat fare. The wine costs $14 and sports a 12.6% alcohol content. Brianna is another Elmer Swenson creation. It’s a particularly cold-hardy white wine variety and, for that reason, it has become quite popular among midwestern wine growers. A golden hue makes the Brianna the richest looking of the three whites. Its nose is quite aromatic. Denise smelled banana from across the room after I opened it, but I might characterize it as a whole bunch of bananas, an aroma that's both sweet and herbal at once. There's a hint of oak on the palate, and it plays against the green fruit flavors very well. It's quite dry with a bracing acidity and the label lists its alcohol content as 14% - rather hefty for Brianna, I would imagine. I love the sour apple finish. It's a brilliant match with sharp, white cheddar and with a handful of peanuts the taste sensation is absolutely transformative. Now we turn to the red wines. Pizzeria + Pasta, Too! is a varietal wine utilizing 100% estate-grown Sabrevois (I understand the pronunciation is “sa-brah-voy”) from the Tassel Ridge vineyards. The grape is another Swenson creation, by the way. This red is very dark in color, nose and palate. Ths is a dense wine, with a somewhat forceful nose that smells of plums well trodden into the ground. Tarry notes are also present after its been open a while, and a grapey aroma hangs in the background. It's a medium weight wine, despite the darkness in aroma and taste. It goes with a cheese plate well, one featuring Vermont cheddar and smoked provolone, walnuts and dried cranberries. I'll be honest - this is a very different sort of wine than I am used to drinking, and it takes a little getting used to, at least for my palate. I don't really care for it as a sipper, but once it hit the food, it was really quite enjoyable. $13. The Marquette grape is another hybrid, actually a cross of two other hybrids created at the University of Minnesota. These are estate grapes, too. The wine spends a year in new French oak barrels and another 11 months in a mix of French, Hungarian and American oak. There is an intense expression of fruit on the nose, with a bit of a balsamic edge. The dark and luscious aromas are actually stunning. Notes of tar turn flat paint into metal flake. It’s jammy. The palate has cherry cola and plums showing with a richness that reminds me of Port-style wines. It's not sweet, though - very dry in fact, with lip smacking acidity. This should be great with a steak. It sells for $25 - worth every penny - and carries an alcohol level of 16.2%. That's right in between a Paso Robles Zinfandel and Port. The St. Croix grapes are also courtesy of Elmer Swenson - I told you he was a big deal - and are grown on the Tassel Ridge estate. This is a dry, red wine with an earthy nose, almost funky, with meat and grease notes showing amid an array of spices. I smelled it immediately after I had smelled the Marquette, and thought something must be wrong. As I wondered if it was corked, I remembered the Stelvin closure - all six wines are closed with a screwcap - and thought that it was probably just me. It was just me. Sampling the nose again on its own, I found it reminded me a bit of a funky, old Côtes du Rhône. The bouquets on these last two wines are simply worlds apart. On the St. Croix’s palate, the acidity is bracing and the fruit is tart. Plums and black cherry show up with an oak spice which makes an appearance but is not overplayed. The tannins are quite gentle. Of the six wines featured here, this is the one you’ll ponder over. For some reason it had me wanting meat loaf. And I never eat meat loaf. It’s a $20 wine with 12.9% abv. So, we have another impressive entry from Iowa in the Wine Country series. The Brianna, Marquette and St. Croix really stood out for my palate, and for the wonderful way they paired with food. Iowa is the 20th state from which we have sampled local wine in this series, so we still have a way to go. If you are a winery wanting to represent your state on Now And Zin's Wine Country, or if you know of one that should, email me: nowandzin@gmail.com. When talk turns to Louisiana, we don’t really think of wine. Mint juleps, sure. Falstaff beer, of course. Absinthe, it makes the heart grow fonder. But, be honest. When you think of Louisiana, you think of crooked politicians, complete with prison sentences. Willie Stark is the main character in “All The King’s Men,” and he was pretty much traced from a cutout of former Louisiana Governor Huey Long. Broderick Crawford’s bellicose portrayal is - for my popcorn money - one of the best acting jobs in movie history. Stark is a populist politician who forms a ruthless political machine behind all the dumb ol’ hicks he wins over with his “I’m just like you” jingoism. That’s right - it’s kinda like watching FOX News. The story of Huey Long fascinates me, turns my stomach, makes me cry, makes me vote, makes me want to give up voting. It’s rather like my reaction to absinthe, only with voting involved. In his song, “Kingfish,” Randy Newman sings in the voice of the politician, “Ain't no Standard Oil men gonna run this state, gonna be run by little folks like me and you.” The joke, of course, is that little folks don’t run anything. They didn’t in 1930s Louisiana, and they sure as hell don’t in 2012 America. I understand that John Wayne was offered the role of Willie Stark first, and turned it down - apparently with a lot of posturing about how he felt the script was unpatriotic. The role then fell to Crawford, who wasn't so choosy. In an ironic twist of fate, Crawford won the 1949 Best Actor Oscar for his performance, nudging The Duke out of the way. Wayne was nominated for his starring role in Sands of Iwo Jima. “All The King’s Men” was nominated for seven Academy Awards in all, and won three - Best Actress (Mercedes McCambridge) and Picture (Robert Rossen, Columbia) join Crawford's win. Louisiana hardly figures in the American wine scene beyond the 17 or so bottles produced each year by the state’s four wineries. It's brutally hot and humid there and wine grapes don't grow well in those conditions. Louisiana winemakers - all four of ‘em - rely mainly on grapes like Blanc du Bois and Muscadine, which tend to grow well in a swamp. That means our wine for "All The King's Men" is... a beer. Abita Brewery is located just a short drive north of New Orleans. A late entry into southern Louisiana’s rich brewing history, Abita has captured the hearts of ‘Nawlins beer drinkers with special brews from which a portion of the proceeds go to charitable causes. They made a pale ale to raise money for the restoration of New Orleans after the Hurricane Katrina disaster, and a pilsner is helping clean up the Gulf shore after the major oil spills Louisiana has suffered. Kingfisher Beer - Couldn't resist, even though it's an Indian beer and its namesake is a bird, not a politician. King Estate Wine - It's from Oregon, and they farm organically. It's Ore-ganic! Fisher King Winery - Not King Fisher, but Fisher King. It’s about as hard to grow wine grapes in Wisconsin as it is in Louisiana, although for different reasons. The winery has some connection to the medieval tale of the Fisher King - at least the king is on their logo, holding a sparkling chalice. During the month of April, a number of California wineries will be showcasing their sustainability efforts with green wine trails, eco-tours in the vineyard and, of course, Earth Day wine and food festivals. Wine Institute has a list of festivities occuring during "Down To Earth Month" at wineries across the Golden State, in which sustainable farming and eco-friendly winemaking will be the focus. The highlight will be the 6th annual Earth Day celebration April 20th - 22nd, 2012, at Pomar Junction Vineyard and Winery. During the weekend-long bash, over 200 wine and food purveyors will show off their sustainable practices and offer samples of their wares. The Wine Institute says the “Down to Earth” month events will "let wine lovers get down to earth—connecting to the land and the people who make the wines they enjoy in a manner that benefits the environment and the community."